The management and the entire team of the Dugout wish you a pleasant stay. On one side a beautiful garden, the other the ocean and a wonderful lagoon protected by a coral crystalline solid. A change of scenery we offer you a warm and romantic. tourist tax : not included : + 2 000 With (ca.. 0,80€) per accommodation, per night. The rooms and bungalows are available from 15.00 and must be vacated before 12:00, on leaving after this time we will apply a surcharge of 50% the price of an extra night. The rooms and bungalows are planned for a number of people determined, to ensure the safety of the hotel you should under no circumstances accommodate more people. Any customer leaving his room or bungalow shall deliver the key at reception. For safety reasons it is forbidden to light a fire or cook in the hotel compound. maids provide their service from 7am to 17h.Nous have no double key so you must leave your key at reception so they can clean your room or bungalow. If you have a pet, you will be responsible for any damage caused. 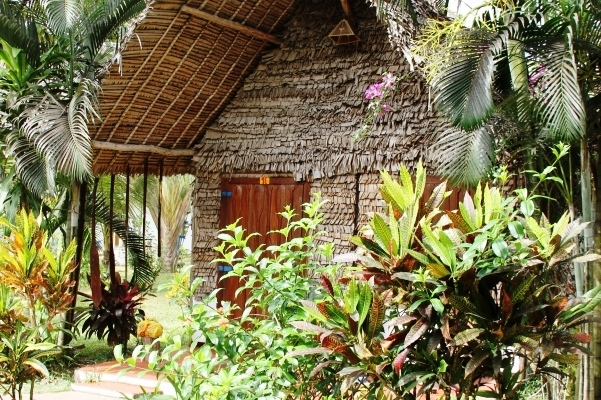 The hotel is treated against mosquitoes, bungalows and rooms are equipped with mosquito nets. The hotel has a guarded parking, all vehicles must always be parked. 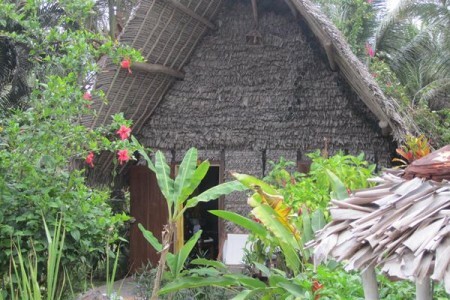 The hotel has a shop selling various items of Malagasy crafts.